Skate Holiday in the Netherlands | Why join the group? 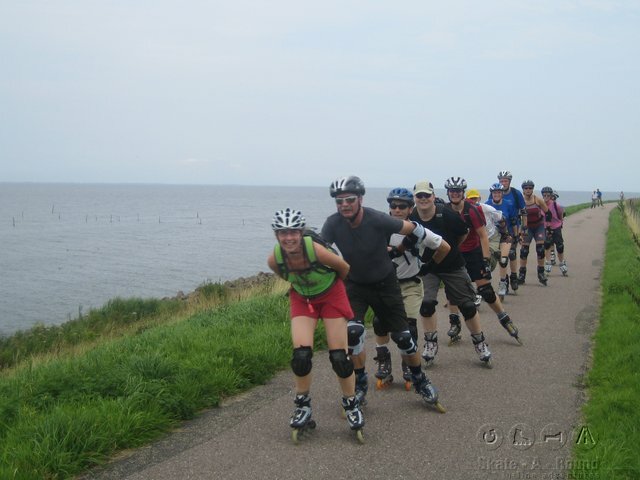 Meet inline skaters from around the world on the water and on wheels! Every day you can decide whether you want to go inline skating or to stay on the boat to relax. And the participants don’t all inline skate together in a big pack. You don’t have to skate with a large group of people, unless you want to. You can be more or less on your own, if you prefer, and do each skate tour at your own pace, stopping anywhere you want, for as long you want. Skate-A-Round Best of Holland is designed with all kinds of inline skaters in mind. 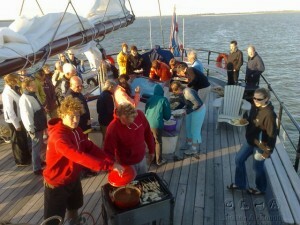 Using the sailing boat superflexible, you can decide every few hours what to do: skate, sail or relax. The sailing boat is always near. If you know how to brake, and you are pretty much used to 40-50 km skatetours, than you can enjoy a fantastic midweek on wheels. 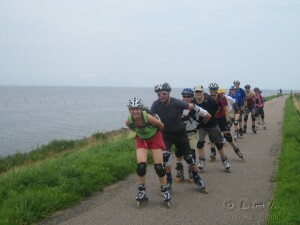 Our inline adventure however is for recreational skaters and is not some kind of PRO activity. The participants of the Dutch skate holiday come from several countries. In 2001 we have started as the first skate organisation ever with a holiday skating & sailing adventure, and people from more and more nations have joined us since. Most come from Germany, Spain, the Netherlands, Belgium and the UK; we hope skaters from skate nations as the US, Singapore, Argentina & Sweden will be present themselves to us as well in 2014! Malcolm from London joined us in August 2007. Read & view his inspiring article, including nice PICS, as published on the leading website for inline skating in the UK, Londonskaters.com.